Is Your Facebook Profile Job Search Friendly? It is good to keep your personal or social life separate from your professional life. But when you are looking for prospective job opportunities, it is better to steer clear of problems by maintaining an “appropriate” social presence. Simply sending in your professional resume won’t help you to cut through the competition. 80% of recruiters perform a social background check of the candidates to evaluate their interactions and the way they present themselves in social circles. 69% – 80% of recruiters have rejected a candidate just because they found the profile to be inappropriate and misrepresented. If you are wondering why you were not able to get the interview call for your last job application, check your social profiles again for finding out the reason. 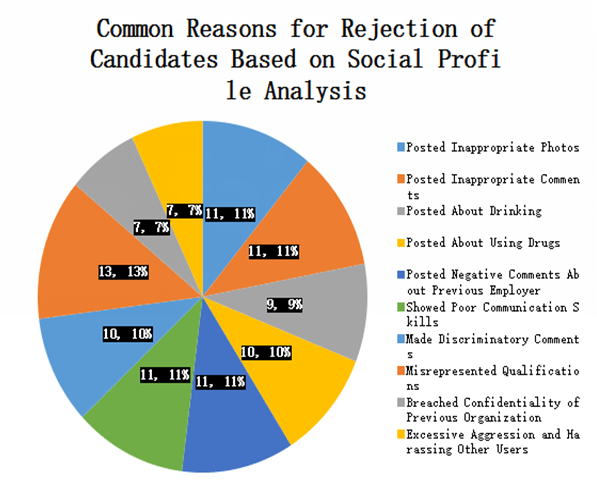 Before we understand the importance of maintaining an appropriate and clean social media profile, let us have a look at the reasons cited by recruiters for rejecting a candidate post analysis of his / her Facebook profile. Before you lose the job opportunity due to an inappropriate social profile on Facebook, check it thoroughly for the following signs. If inappropriate language, especially cussing in any manner, has been used in the profile content or in the posts, make sure you delete it. This presents a negative image about your personality. Do not engage in aggressive or heated arguments, especially about political or sensitive issues. It is good to express your opinion, but always stick to a neutral and passive tone. If you cannot manage all of this, then delete the existing content and stay away from such activity. No one likes to come across an incomplete section in a profile. Similarly, no one likes to view incorrect information also. If you have not updated the info section for your Facebook profile, then it is about time that you did it. Make sure that the email id and contact information is updated as per the current details. This will help recruiters in reaching out to you in case they have come across your profile on Facebook. If you have inappropriate photos in your album or in your timeline, remove it immediately. You only get one chance to make an impression on the recruiters. I am sure that you wouldn’t want to spoil your opportunity just because of one photo. Remove it and be vigilant if such photos show up on your timeline. If you constantly get bombarded with inappropriate photos from a particular user, block him / her or simply unfollow. This should take care of the problem. Misrepresentation may make you “cool” in front of your social contacts. It may get you a few likes and some applause. But if recruiters find out about this false information, then it would mean the end of your career. Misrepresentation isn’t taken lightly by anyone. So stay away from such temporary fame. Recruiters analyze your overall social footprint – the way you interact with others, the kind of posts that you share, you views on topics of debate and the presentation of your profile. It should be decent and should be relevant to your professional as well as personal attributes. That’s all there is to it. Go ahead and check your Facebook profile to detect problem areas before the recruiters do. If you find it tedious to make the necessary changes, deactivate or delete the account so that the recruiters don’t find anything at all. This option won’t work out for most of you, so revamp your profile and increase your chances of getting selected. All the best for your job search. Don’t forget to prepare a professional resume for strengthening your application. Get in touch with professional resume writers if you are not able to prepare the resume yourself. Previous PostLost Your Job? Talk to Your Friends and FamilyNext PostWhat is a Dream Job?